TRAVERSE CITY — Did you study or work at Northwestern Michigan College between 1951 and 1976? You are invited to celebrate the first 25 years of the College’s history in photos and to help build the Osterlin Library Archives’ knowledge of memorabilia from this period at an Open House Sunday, Oct. 25 at the NMC Osterlin Library. This event is hosted by the NMC Alumni Relations program at the Foundation. The Open House will be from 1 to 4 p.m., with light refreshments, historic video viewings and a special presentation at 2 p.m. This will include time for you to reconnect with former classmates and professors, and to share their NMC memories with the group. Photos from the first 25 years that are in need of identification will be on hand for you to review and add your first-hand knowledge to the Archives. 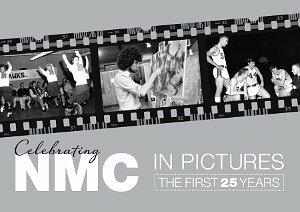 Please also consider bringing NMC photos you would like to donate to the Archives. RSVP by calling (231) 995-1021 or e-mailing alumni@nmc.edu. Call (231) 995-1021 or e-mail alumni@nmc.edu.